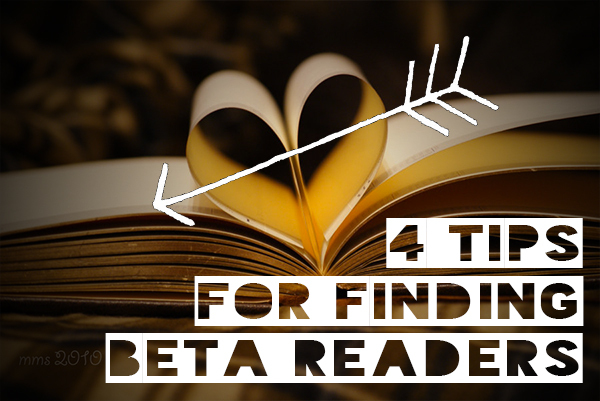 Lately I’ve been thinking about the importance of finding beta readers, readers who are right for you. For the most part I’ve had wonderful experiences with beta readers. 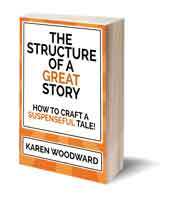 They’ve been energizing to work with and have made my stories better: shorter, more interesting, twistier. Sure, I’ve had one or two bad experiences, but the good eclipses the bad. 1. They regularly read the genre you’ve written in. I speak from experience, folks. Never, EVER, give a light, breezy paranormal romance to a fan of hard sci-fi. The conventions of the two genre are at odds (fact-based extrapolation versus flight of fanged fancy). Not only would the reader not know where to begin the critique, but they just might resent you personally for asking them to do it! Let’s face it, many of us can tell when someone who disliked the book on a personal level tries to give a fair, even-handed critique. I’ve found it’s a bit like watching a car crash in slow motion – with me in one of the cars! 2. They critique the work rather than the author of the work. 3. They are consistently consistent. Everyone is biased. Which may be just another way of saying we each have our own taste, our own preferences. Sure, we try to be impartial but this is especially difficult when we don’t realize if or how we are biased. So it’s no surprise that one beta reader will say they loved (for example) your protagonist’s tearful goodbye to her mother at the end of chapter one while another will think it extraneous and overwrought. Such is life. Different strokes and all that. I’ve found after I receive several critiques from someone that I get a feel for what that person likes, what they look for in a story. 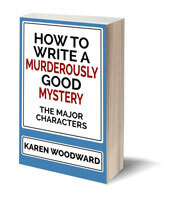 Which is to say that I begin to get a peek at their literary biases. And that’s great! If I know someone disliked my tearful scene because they are constitutionally averse to tearful scenes, then I know what to make of their comments. But sometimes – not often, but sometimes – folks are less than consistent. What I’m talking about here are people who, if I might put it like this, are consistently inconsistent. Thankfully I’ve only had one reader who was like this, and it was years ago, back when I first started writing. I suspect she didn’t read any of the stories she critiqued, but feeling the need to come up with a criticism, she picked a random paragraph and took issue with it! 4. They are someone you won’t lose as a friend if you only ask them to read for you once, and never again. This is just my advice, take it or leave it: Before you ask someone to read your work, think about what might happen if you never again ask this person for another critique. When I was a teen (so, YEARS ago) I asked a close friend to look over my work. It was my first year of college and I loved everything about the english class I was taking, especially the teacher. She was awesome. I would go to her office hours and we would talk about literature and ideas and, well, life-in-general for hours. So, no surprise, when it was time for me to write my first essay for her course I wanted it to be perfect. (Cue ominous music.) Because I was especially nervous about my essay I asked my best friend to read it and give me her feedback. And she did! She put a lot of time into reading my scribbles and composing her feedback. I still remember her handing the paper back to me, her look of hesitancy, the uncertainty (fear?) in her eyes. “I think I may have gone a bit overboard,” she said. “Nonsense!” I said, and pried my paper from her fingers. I swear to you I do not exaggerate when I say there was more red ink on the paper than black! My excitement took a nosedive, but I managed to hold my smile in place and thank her for the time she’d taken to look over the paper. My friend, though brilliant on many levels, was neither a reader (of fiction) nor a writer. Her edits would have stripped my voice from the piece. It would have been more hers than mine! Anyway, I handed my paper in sans the changes she had suggested and didn’t ask my friend to look over any other papers. I wasn’t upset at her – sure I was a little sad that she hadn’t ‘gotten’ what I was trying to say, but it honestly wasn’t a big deal. I recognized that her heart had bene in the right place and was touched by the amount of work she’d spent on my essay. What I didn’t anticipate was that, because I didn’t give her another paper to read, she felt as though she’d failed. She thought I was upset with her and didn’t believe my claims to the contrary. It got to the point that my refusal to use her as a reader affected our relationship. Thankfully, we found a way to leave the incident in the past, but it has made me consider what might happen if I only use a reader once. Let’s face it, there are many reasons to only use a reader once, none of them negative. Perhaps one of your regular readers was busy so you needed someone to fill in, but just this once. Perhaps you experimented with a new genre and don’t write in it again. Perhaps the reader has a preference for stories of a certain length and you don’t normally write to that length. Whatever the case, before asking someone if they would read for you take a moment to consider how it will effect your relationship if you never ask them to read for you again. Before I close I would like to thank all the beta readers out there. You’re terrific! You folks volunteer to read unpolished prose and give honest, heartfelt feedback. You rock! That’s it! Thanks for reading, I’ll talk to you again next week. In the meantime, good writing!